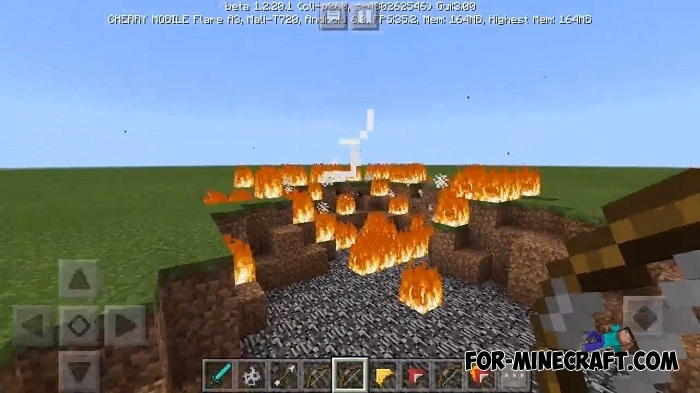 You can only use one arrowhead in Minecraft Pocket Edition and it is the most common, causing minor damage. Arrowheads addon adds 3 new arrows that you can switch and choose the one that is best suited to your situation. There are fiery, explosive and lighting arrowheads performing tasks based on names. How to get new arrowheads? 1) Type the following commands to alternately get the arrowheads - / give @p yellow_flower 64 [1-3]. 2) Find and kill skeletons but the chance to get them is small enough. The first method is much faster and less labor-intensive. Arrowheads can not be used without conventional arrows. First take the bow and then select the arrowhead type you want. How to install the Arrowheads addon?